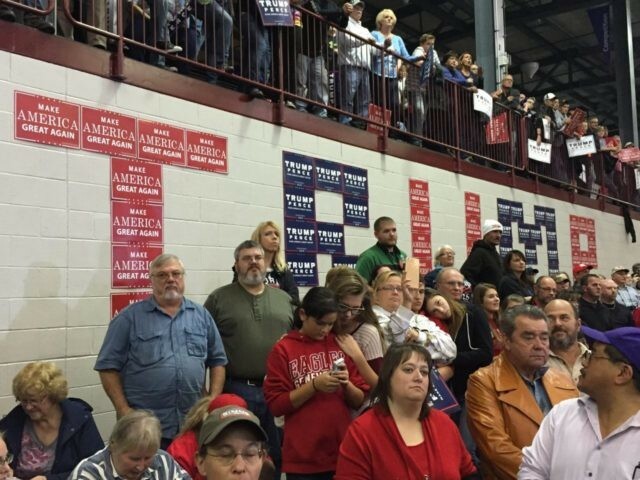 GENEVA, Ohio — Republican presidential nominee Donald Trump addressed several thousand supporters in northeastern Ohio on Thursday evening, reminding them that his rival, Hillary Clinton, had allowed a Russian uranium deal that presented a stark conflict of interest, critics say, between between the Clinton Foundation and national strategic and security interests. As the New York Times reported, and as explored by Peter Schweizer in the bestselling 2015 book Clinton Cash, Clinton’s department was one of several agencies that approved the sale of a company that controls a large portion of U.S. uranium resources to a company linked to Russian President Vladimir Putin, as the chair of that company made donations to the Clinton Foundation. More revelations about the uranium deal have emerged in emails released recently by Wikileaks. And, as Schweizer has written at Breitbart News, key questions about the uranium deal remain unanswered, several months later. 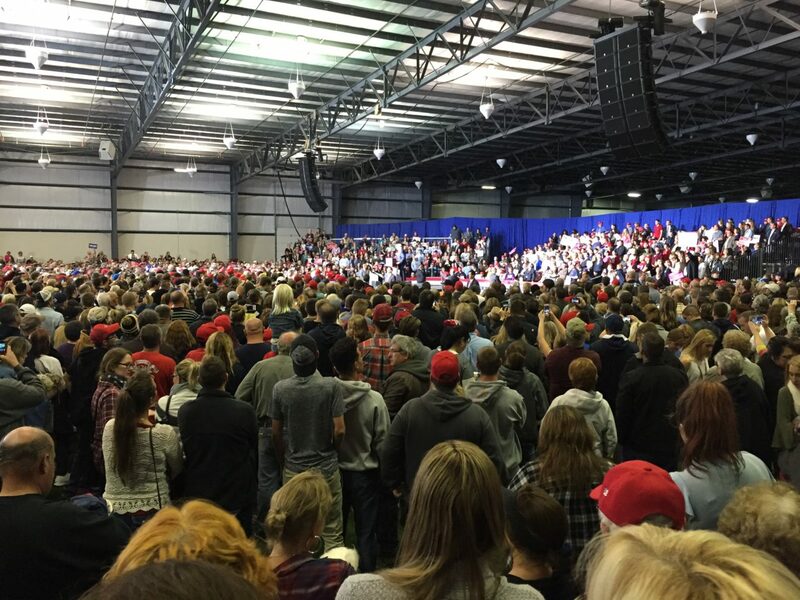 The rest of Trump’s speech hit the main points he had addressed throughout the day at stops elsewhere in Ohio, including Springfield and Toledo. Trump spoke about repealing Obamacare and its premium hikes; re-negotiating the North American Free Trade Agreement (NAFTA); ending the flow of Syrian refugees; stopping illegal immigration. bringing jobs back to the U.S.; and ridding Washington, D.C. of endemic corruption. Chants of “Drain the swamp!” alternated with “Lock her up!” as crowd favorites in response to Trump’s attacks on corruption, and on Hillary Clinton’s various scandals. 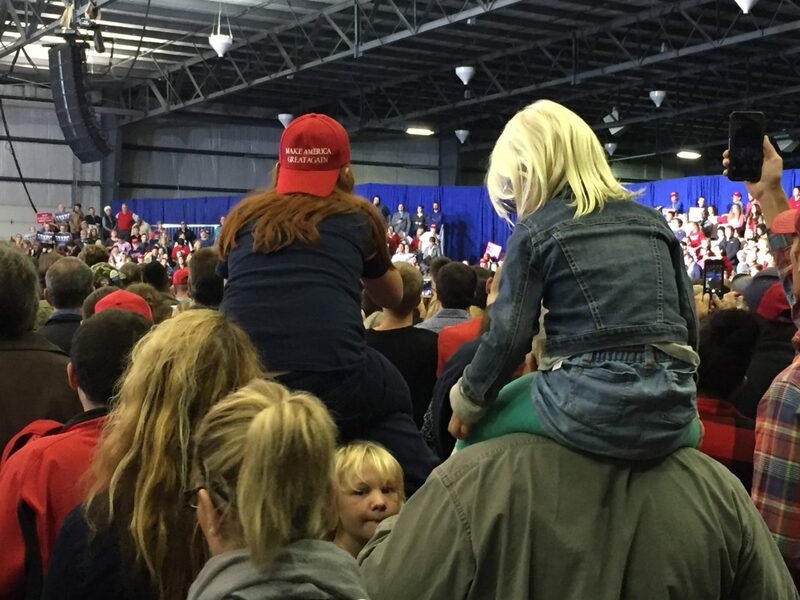 The audience, many of whom had waited for four hours to see Trump, was boisterous throughout the speech, and included people of all ages. 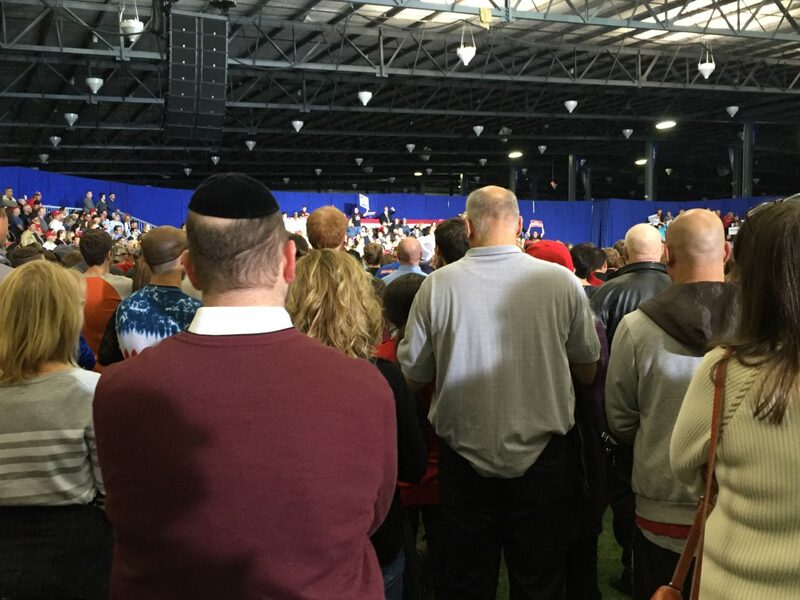 Mordechai Giffin, 32, an Orthodox Jew from the Cleveland suburb of University Heights, spoke to Breitbart News about the accusation that Trump, and his campaign, were antisemitic. Toward the end of the speech, Trump also informed the audience that his running mate, Indiana Gov. Mike Pence, was unharmed after his campaign plane slid off the runway at La Guardia airport in New York earlier in the evening. No one else on the flight was injured, either. Joel B. Pollak is Senior Editor-at-Large at Breitbart News. His new book, See No Evil: 19 Hard Truths the Left Can’t Handle, is available from Regnery through Amazon. Follow him on Twitter at @joelpollak.